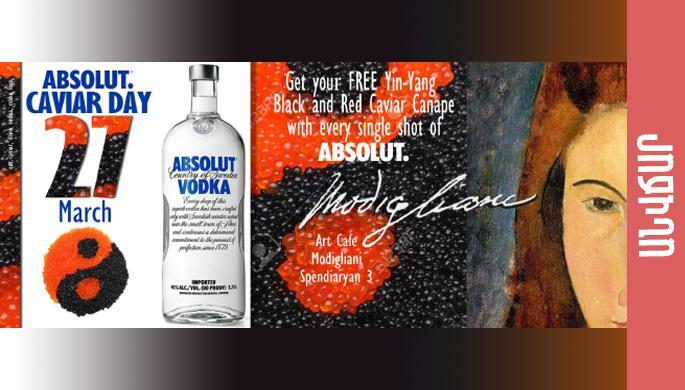 Join us @ Art Cafe Modigliani on March 27th and get your favorite Yin-Yang Black & Red Caviar Canapes with every single shot of ABSOLUT.! 2. live music sessions and unique tracks!! 4. fantastic handmade wall clock sale / exhibition by Army !!!! 5. special discount and suprizes from Hin Areni wine factory !!! Barrels of drinks, tasty food, unique music, and warm atmosphere!